Tea has always been a serious business in China. In his Tea Classic dating from the 8th century, Lu Yu describes 28 essential items required to brew a decent tea. If that feels a little excessive, don’t give up just yet! Here’s a guide that will walk you through what’s really necessary and get you started into the world of Chinese tea. It all begins with the teapot 茶壺 /chá hú/, which is where the tea is actually brewed, so this part is really important as the choice you make here will greatly affect the taste of the tea. The principal distinction among teapots is based on the material they are made of, which can either be clay 陶質～ /táo zhì/, or porcelain 瓷質～ /cí zhì/. Recently, woodfire 柴燒～ /chái shāo/ has also become popular. 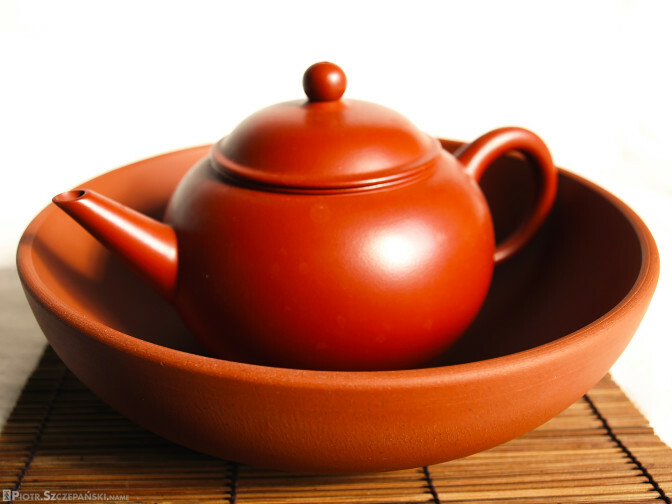 Generally, choose a clay teapot for brewing green and oolong teas, while porcelain teapots are more suitable for black and puer teas. Woodfire teapots are more similar to clay. Both of these materials will absorb the flavor from each brewed tea and accumulate it over time (which leads some people to have a separate teapot for each kind of tea they drink but that’s somewhat excessive). Clay teapots are usually referred to as 紫砂壺 /zǐ shā bēi/ in Chinese. Yixing teapot 宜興壺 /yí xīng bēi/ is a teapot made of Yixing clay: these have a long history but are very hard to come by nowadays. Some clay teapots, including the one pictured above, are water-balancing (水平壺) /shuǐ píng hú/: if you immerse them in water they should float on the surface, and if you turn them upside down they will lie flat (there are no protruding parts). This is a treasured feature for certain ways of brewing oolong tea, when the teapot is immersed in water to maintain temperature, as it guarantees that the tea inside will not mix with the water outside the teapot. Gaiwan 蓋碗 /gài wǎn/ is a certain kind of teapot that comes with a saucer and a special lid. 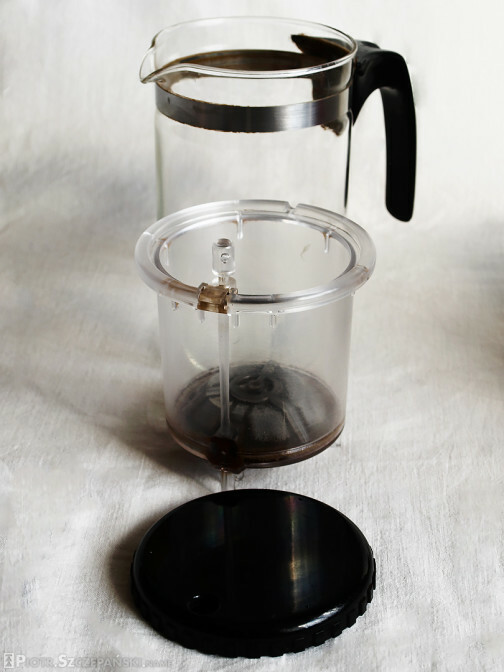 The lid can be used for holding the tea leaves inside, which allows the tea to be drank directly from the teapot. This is more of a Northern Chinese thing. The teapot can be placed in a basin 茶盂 /chá yú/ (also 壺承 /hú chéng/, 水盂 /shuǐ yú/) and immersed in water. The basin is also used for washing teaware and for storing used leaves. Tea is poured on a tea tray 茶盤 /chá pán/ (also 茶池 /chá chí/). Any spilled water or beverage will sink through the holes and remain inside until the tray is emptied. During the tea ceremony some spillage is inevitable, and this is the preferred way for addressing this. 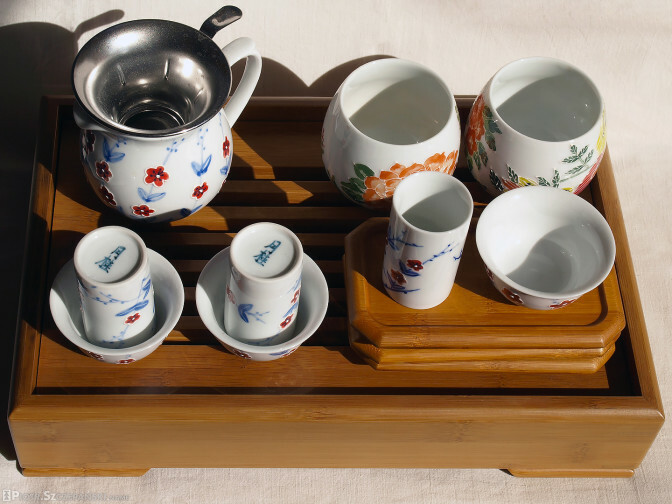 A tea boat 茶船 /chá chuán/ is a somewhat larger tray, often made of stone, that serves the same purpose. The tea is never poured directly into the cups. The teapot is emptied into the pitcher 茶海 /chá hǎi/ (also 茶盅 /chá zhōng/, 公道杯 /gōng dào bēi/). 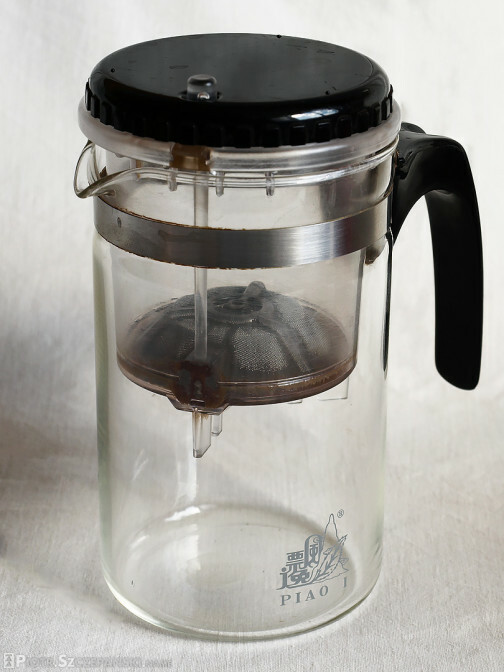 On top of it is a strainer 漏斗 /lòu dǒu/ (also just 滤網 /lǜ wǎng/) that filters any remaining tea leaves (generally the tea leaves will be stopped by the teapot). From the pitcher, the tea is poured into scent cups 聞香杯 /wěn xiāng bēi/ (the tall one pictured) but is never drank from there either. Instead, an actual tea cup 品茗杯 /pǐn míng bēi/ is placed on top of it, upside down. Both cups are then held together and reversed: the tea floats into the tea cup, while the scent cup retains the flavor. The elaborate scenting ceremony is specific to Southern China, in particular to Canton and Fujian provinces. 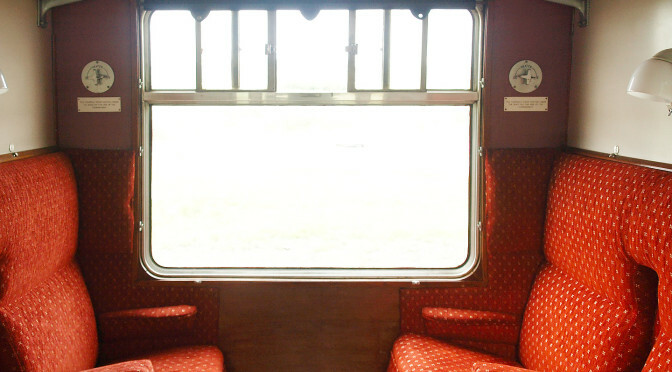 In other areas, the tea is poured into tea cups, and then drank directly. In such contexts, the tea cups are simply called 茶杯 /chá bēi/. The pitcher and cups are usually made of porcelain, although they can also be made of other materials, such as woodfire. 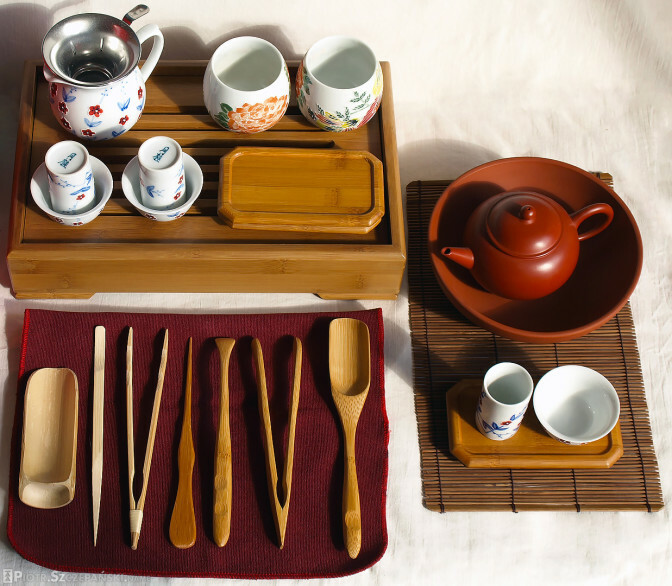 During a tea ceremony, all operations are performed using tea utensils 茶器 /chá qì/. Using your fingers for any of these might be tempting but would not be very refined. The tea measure 茶則 /chá zé/ (looking like a large spoon) is used to scoop just the right amount of dry tea leaves and place them in the kettle. There are roughly two versions of this tool, and the difference is with the handle: both are pictured above. 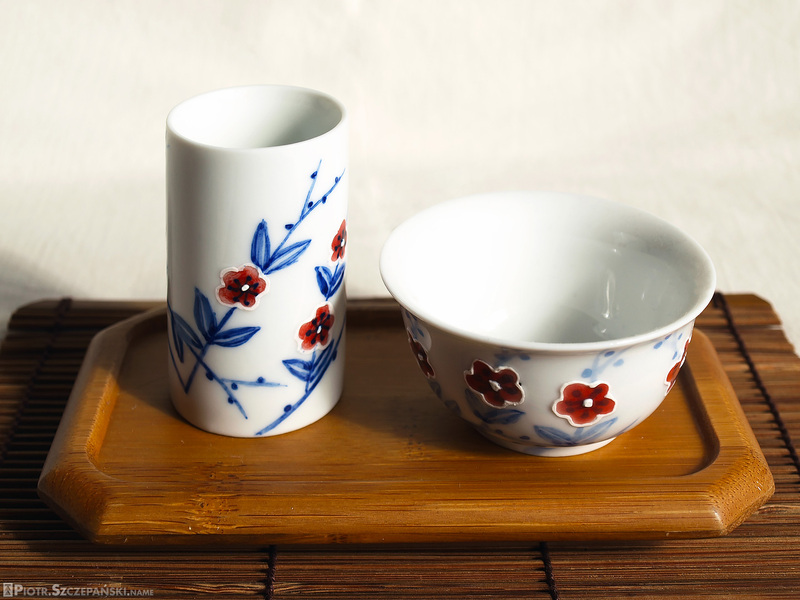 A more elegant variation of the tea measure is a (usually porcelain) tea holder 茶荷 /chá hé/ (not pictured). It can also be passed from person to person during the “appreciation” of dry tea leaves before these are put in the teapot. The tea cloth 茶巾 /chá jīn/ comes handy whenever there’s the need to wipe some spillage. The tongs 挾 /jiā/ (also 夾) are used for holding tea cups when they are being pre-heated by immersion in hot water. They can also be used for removing used tea leaves from the teapot, although it is generally the purpose of the tea spoon 茶匙 /chá chí/. The tea pick 茶針 /chá zhēn/ will have its five minutes of fame should the teapot spout become stuffed with leaves. 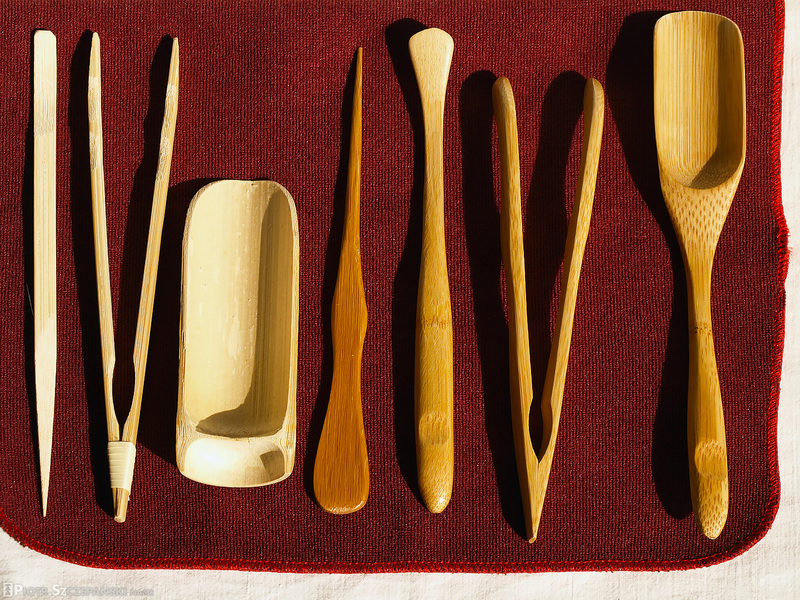 On the picture, the set of utensils on the left-hand side combines both the pick and the spoon into one tool. 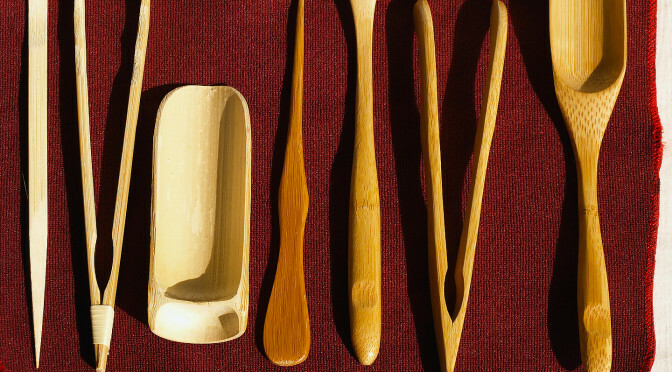 Tea utensils are usually made of bamboo. This is a Southern Chinese-style tea set in its entirety. There are different ways of enjoying Chinese tea. The simplest would be just to get yourself a gaiwan or a Piao-I (see below). But it’s this set-up, called 工夫茶 /gōng fū chá/, that is the most sophisticated. If I showed you this picture in the beginning it might have felt intimidating but now you should be able to recognize all the teaware 茶具 /chá jù/ and utensils, and know their function. There is a much less charming albeit very practical tea-brewing solution. This patented product called the Piao-I Teapot can provide you with almost the same result with much less hassle, although it also takes away all the magic. The choice is yours. 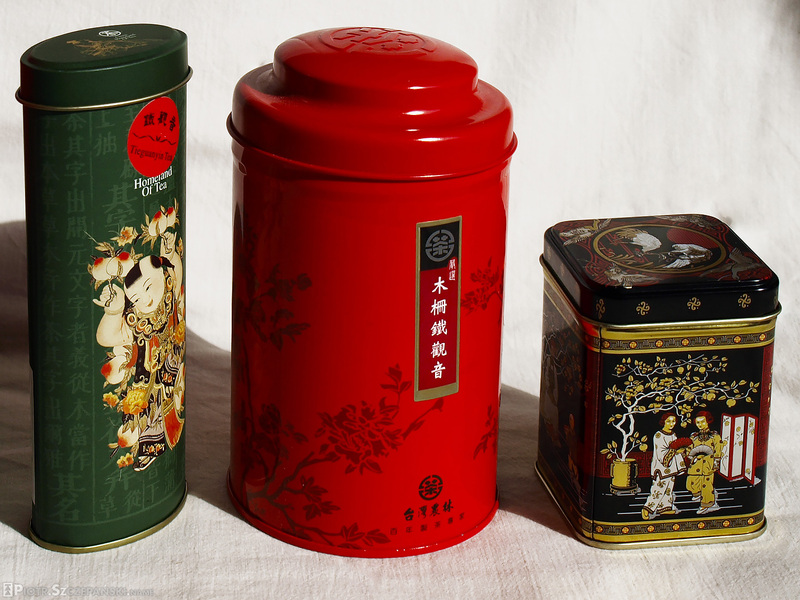 Tea is best stored in tin containers 茶罐 /chá guān/ such as the ones above. Out of the ten chapters in the Tea Classic, the fifth one is entirely devoted just to the question of how to best boil water, which shows the importance Lu Yu attributed to this part of tea-brewing. I skipped discussing traditional water boiling methods (which greatly add to the ambience of a tea ceremony), assuming you will just opt for a kettle of your choice. It is however important to note that it’s absolutely crucial to get the temperature right. This will depend on the kind of tea you’re brewing, and might take some experiments to figure out but it’s a make-or-break factor in the whole process. I found your website and i am looking for containers to store my tea in. 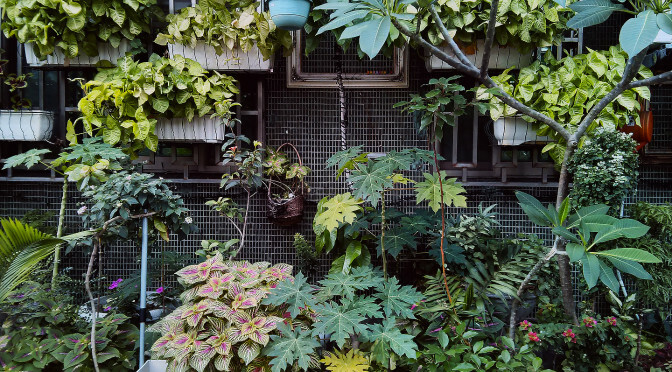 I noticed your very attractive containers pictured above, but cannot find anywhere to make my selection to buy containers like the ones you have pictured here in your site. I sincerely hope you sell these products. The containers might look impressive but they’re not really anything too fancy. 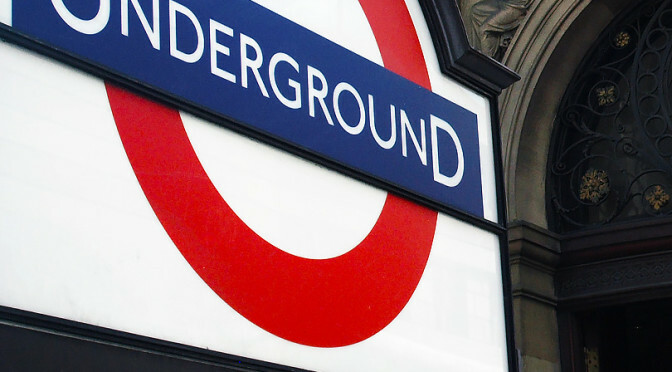 You should be able to get them for free or a token fee from the shop you buy the tea leaves from. I don’t sell them but I can let you know where I got them, let me know if that would help.